The 522 McGill fans that assembled at the Love Competition Hall were ready to bang their pots and pans all the way to a “pots and pans day” sweep of Concordia on Saturday afternoon. The Stingers, however, were not phased by McGill’s pep band’s taunts of “You Can’t Do That” each time they committed a foul, or by the kitchenware, now dented from having been hit incessantly by spatulas. Concordia was in attack mode from the opening tip to the final whistle. They outscored McGill in the paint 32-24 and did the same off of turnovers, 20-6. At the half, the game was tied at 25. But the score was only close because of what Concordia head coach Rastko Popovic called “sloppy play” to start the game. Assistant coach Dwight Walton echoed that sentiment. “[Slow starts are] something we talk about all the time,” said Walton. Concordia used an explosive second unit led by guard Cedrick Corolian to get out to a 46-41 lead heading into the fourth quarter. Guard Henderson Charles was also an offensive catalyst for the second unit, scoring 13 points and collecting seven rebounds off the bench. 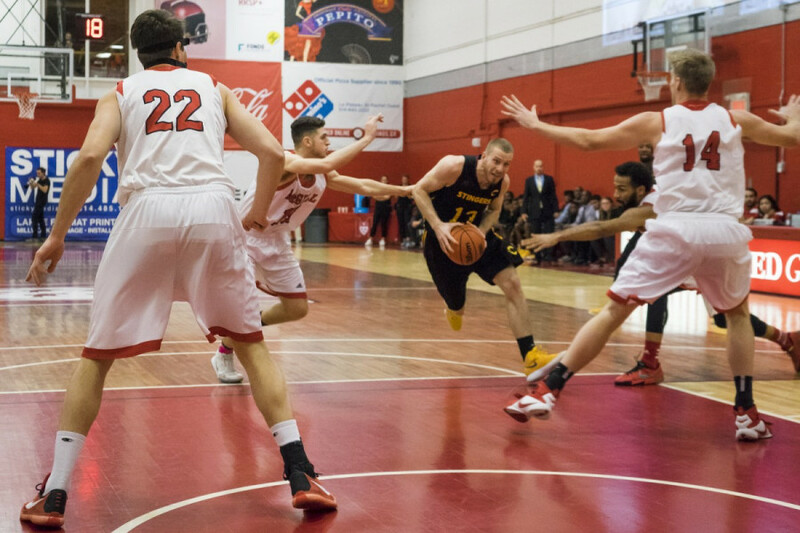 The most crucial bench player for the Stingers from an emotional standpoint was forward Sami Ghandour. During the fourth quarter, Ghandour yelled “we’re not losing this” to his bench so loud that not even the pep band’s rendition of Michael Jackson’s “Thriller” could drown it out. 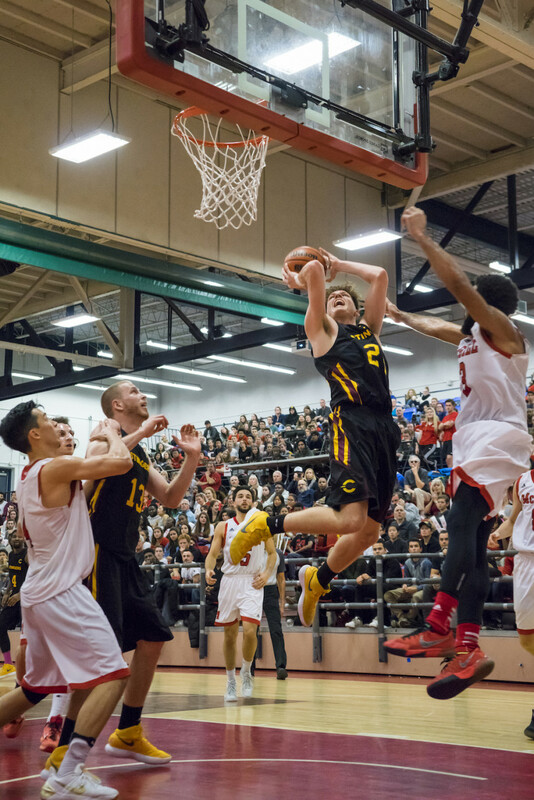 Before long, the air had been taken out of the gym and the Stingers were scoring at will. On the other end, McGill couldn’t buy a bucket. Up ten points with just a few minutes left, it was clear that Concordia was not going to lose this. Concordia’s defense was vexing throughout the game. Though they did allow McGill’s high-powered back court duo of Dele Ogundokun and Jenning Leung to score 17 and 11 points, respectively, no other McGill player exceeded eight. Beaulieu shared the Stingers’ game-high for points with Charles at 13. He added eight rebounds to his stat line. Guard Nicholas Noble scored ten and guard Ricardo Monge chipped in with 11 points before getting into some late foul trouble. At the final whistle, a small scuffle broke out between Stingers’ forward Schneiders Suffrard and members of the McGill team, showing that there was no love lost in the rivalry. 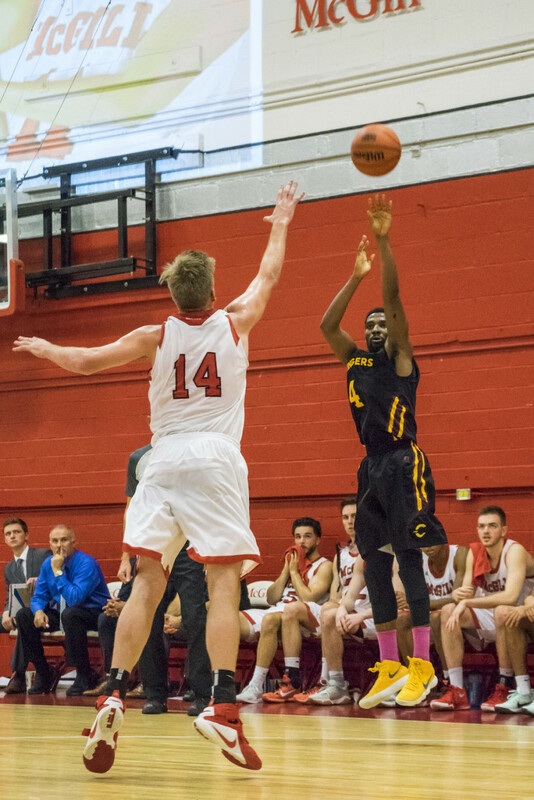 The Stingers drew first blood in the season series and McGill will have to wait for Jan. 11 before they’ll have another crack at the Stingers. Until then, Concordia will play their final game of 2017 on Saturday against the Université du Québec à Montréal Citadins at home. As for McGill, they’ll head to Lennoxville on Saturday to replace their ruined kitchen supplies and to play a basketball game against the Bishop’s Gaiters.